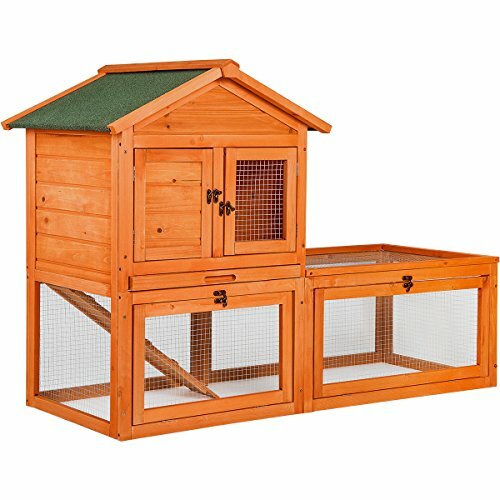 Why a large indoor rabbit hutch? 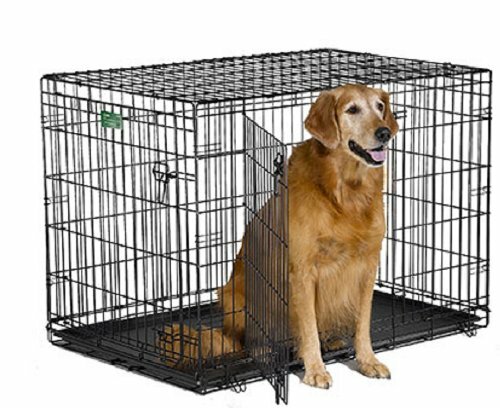 Because here at Spiffy Pet Products, we believe that your pets are family and family stays inside. Right? 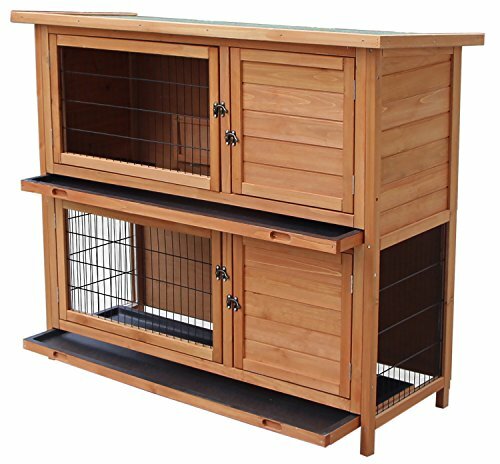 So you’re going to want the best possible home environment for your pet rabbit and the rest of your family and that means everyone, including your new bunny, gets the space they need to feel safe and secure. If your just curious (or in a hurry)…. 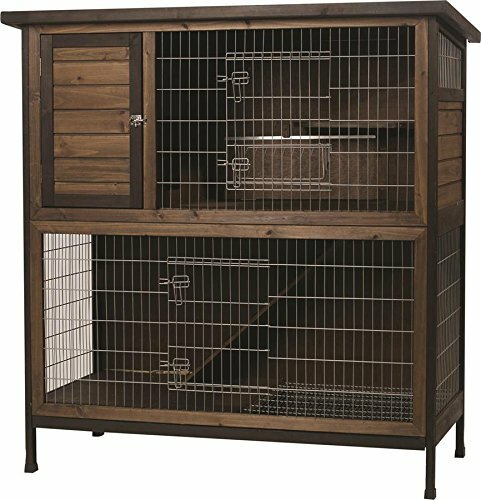 ✅ This specific large indoor rabbit hutch is the most popular with our readers. Something you need to remember is your adorable rabbit is actually a prey species and his instincts are always telling him to stay on high alert and hide when danger threatens. 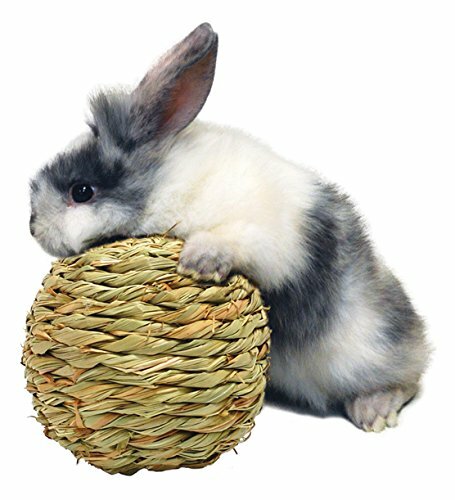 So even if you plan to let your bunny have the “run of the house” you’ll want to give him (or her) a place that is only his to retreat to when he’s feeling threatened or overwhelmed. 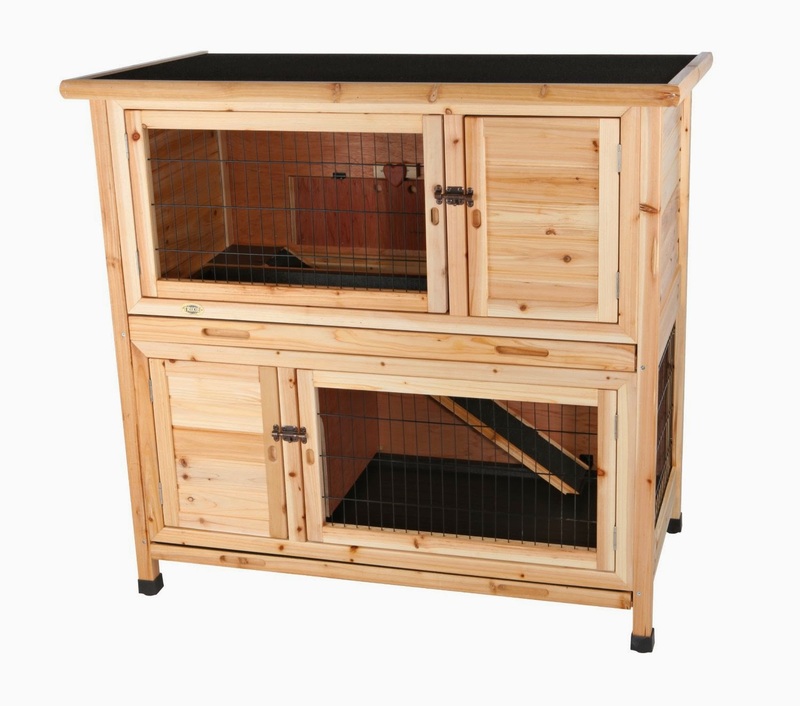 Check out this super spiffy large indoor rabbit hutch! Have you ever seen anything like this? Ok, so maybe I don’t get out much to be so excited about a rabbit house. 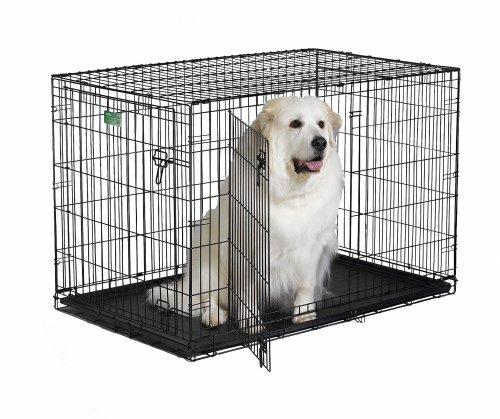 But when I was a kid and we had pet rabbits on the farm there was nothing like this available for us to keep our bunnies safe and sound in. or outside with equal ease. And when you take a peek at the interior you’ll see this baby, it’s got STAIRS! Yup, a little bunny ramp and staircase leading up to the second floor. How cool is that? 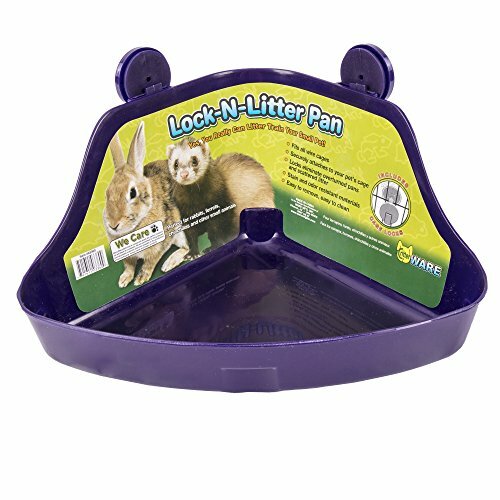 And do you see how it opens up for access to your rabbits and for cleaning? There’s no place grime can hide from you in this rabbit house! This is the Cadillac of rabbit hutch indoor spaces folks! It’s got a hinged roof that can be locked. The ramp has no-slip material on it so your bunny gets good traction and won’t hurt itself. The floors feature pull out plastic trays for easy cleaning. You can even turn it into two separate rabbit houses at will by closing the interior hatch which separates the upstairs from the downstairs area. To top it all off if you’re handy I’m betting you could easily put castors on this making it into an Indoor Rabbit Cage On Wheels! But don’t get too excited. The wheels don’t come with it. Just sayin. First off, we love how this rabbit hutch setup looks. 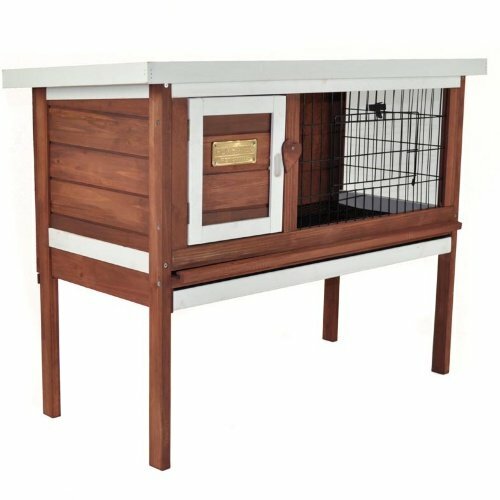 It’s pretty as well as functional and the folks who set up this lovely home for their bunnies didn’t have to reinvent the wheel because they started with a store bought hutch then simply modified it to suit their needs. For example, notice the covered sheet of cardboard with peel-and-stick floor tiles that they have placed that underneath the hutch itself. Brilliant way to protect your carpet. And it’s easily replaced if it gets gross, they change up their indoor rabbit hutch setup. Next, they got faux wood rolling chair mats for out in the rabbit run area. This makes for easy cleaning of the whole setup. Brilliant! 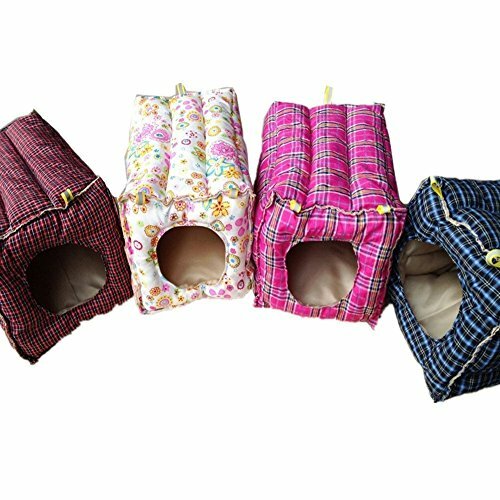 We found rabbit hutches on Amazon that look just like the ones used above. They have great reviews and each one is on sale as I write this. Click the image to learn all the particulars about that rabbit house and find out if it’s still on sale. 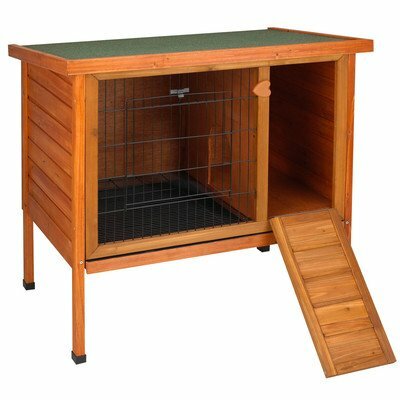 Or click right here to see a large selection of indoor and outdoor rabbit hutches. Now we know that price can be an issue when you’re looking for a large indoor rabbit hutch for your newly adopted bunny (you did adopt your precious bun, didn’t you?). With that in mind, perhaps building an indoor rabbit house will get you more of what you want for less. 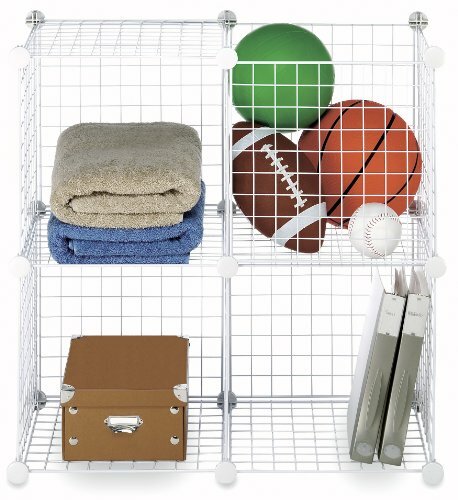 If that’s the case, keep scrolling because we’ve got some spiffy DIY rabbit cage ideas for you. So many rabbits end up in shelters because people buy them on impulse or without realizing they are require a full time commitment and live 4-8 years! 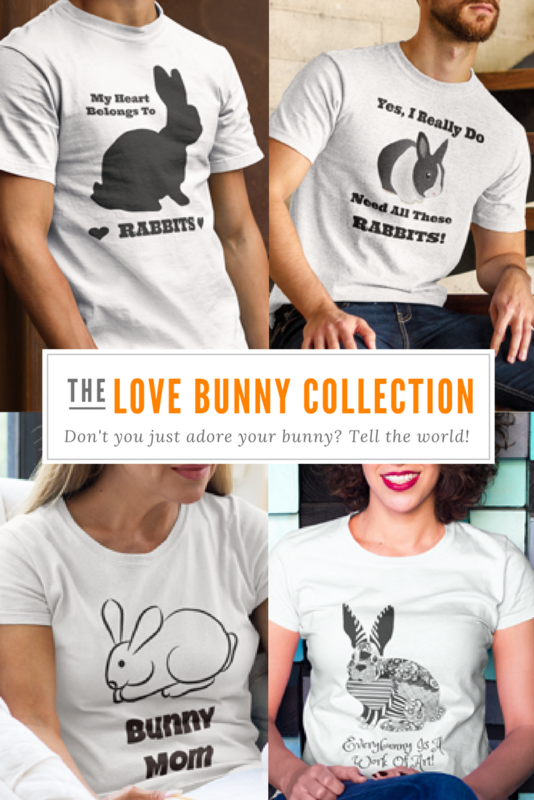 PLEASE, Give a bunny who needs your love a home. Truly elegant this upcycled china cabinet makes for a striking and large indoor rabbit hutch. 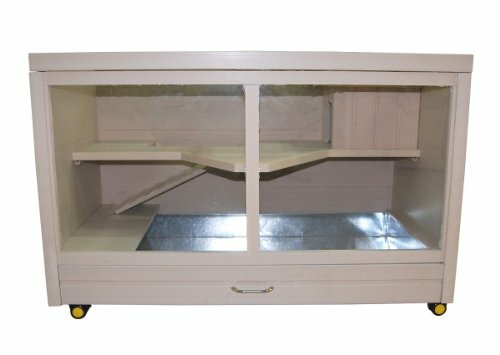 We have seen these made with fold down ramps on the side so your bunnies can come and go as they please when they are having “out and about” time. We think being able to retreat to their “safe spot” is very important to the health and well being of your rabbits. 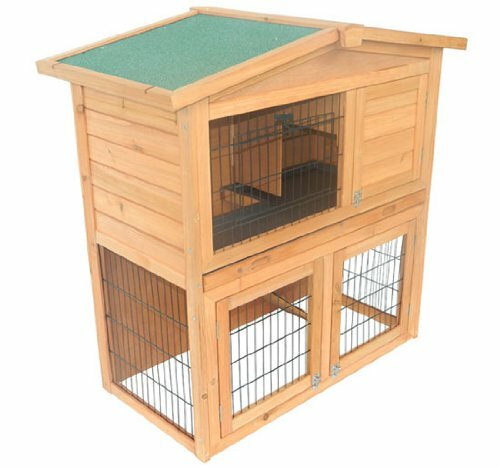 So if you opt to make a rabbit hutch like this one we recommend you include some way for your bunnies to come and go without you needing to do it by hand. Something Noteworthy: Another great thing to do with with old furniture like this is to upcycle it into a nice large DIY rat cage! It’s important to remember though, ratties are smaller than your buns, so you’ll need mesh with smaller holes to prevent escapes and keep them safe! 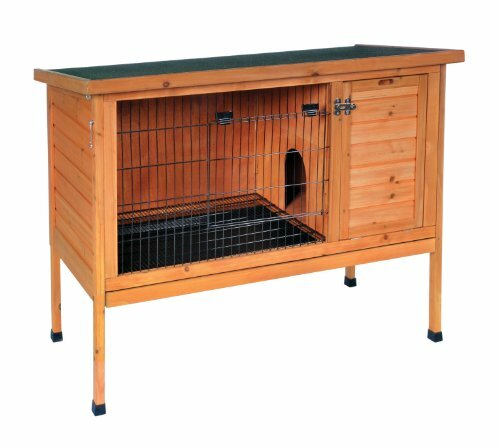 Another thing we’ve seen a lot of people doing is turning a dog crate into a rabbit hutch. This is a fairly inexpensive option but will need a bit of modification. 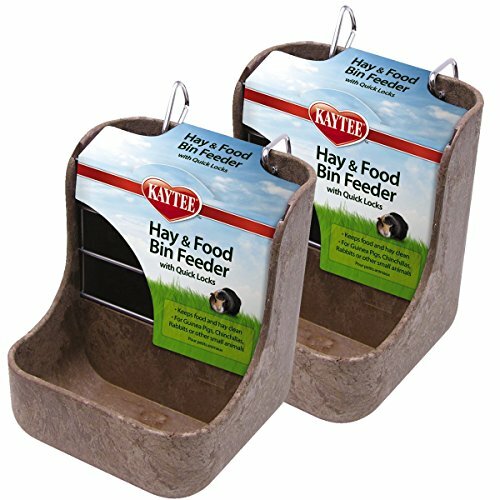 For example you’ll still need to “decorate” your crate or cage with all the bunny essentials like a soft floor (fleece is a popular and very washable option here), a bunny bed, feeding station, water bottle and litter box. 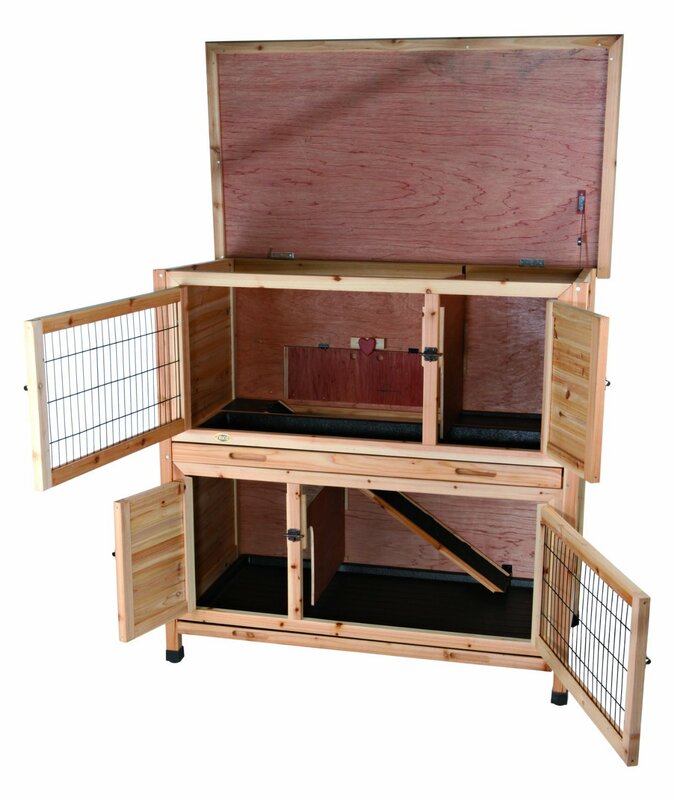 And because most rabbits are rather short compared to the Great Dane the crate is designed for there’s plenty of room to add a second story for your bunny if you choose. 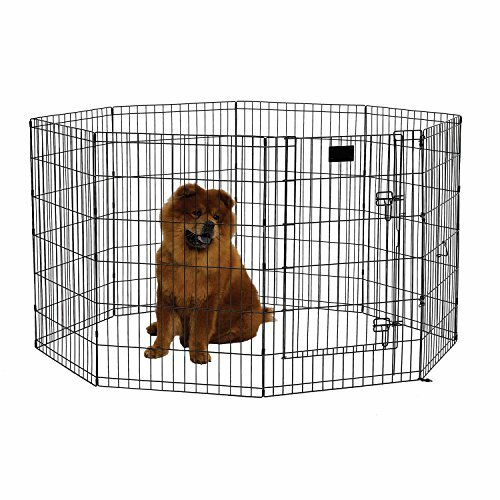 Personally, with the proper changes and additions we think this is one of the really good bunny cage ideas! 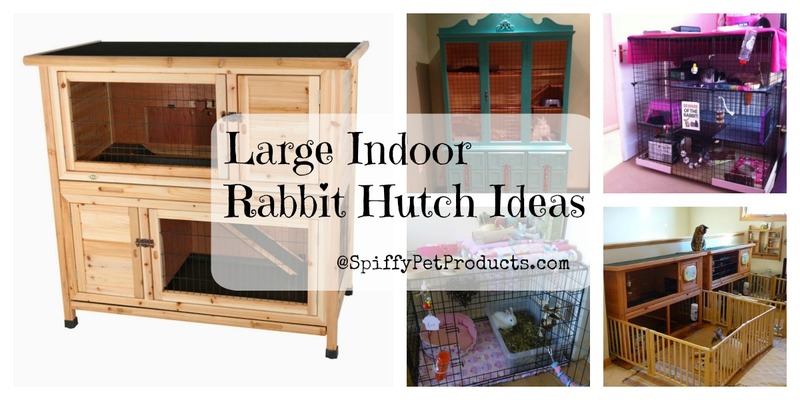 Building Your Own Indoor Bunny Hutch Is EASY If You Have The Right Plans! We love how this old credenza has been upcycled into a lovely rabbit hutch. 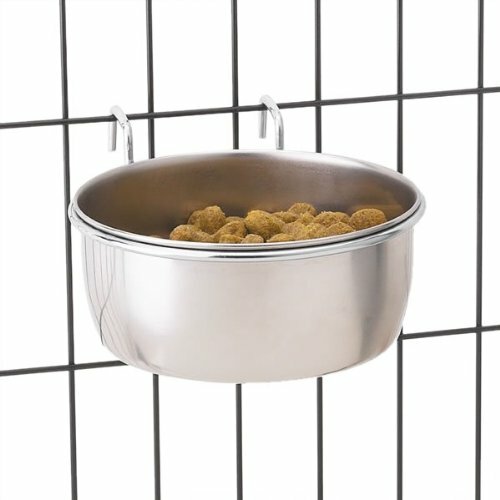 The length of this item is ideal because you want your rabbit to be able to at least take three hops inside his sleeping cage. Another nice feature is how low this bit of rabbit furniture is to the ground. When opened it’s easy for your bunny to get in and out on his own. And, as we’ve mentioned before it’s really important that your DIY indoor rabbit cage have an easy way for your bunny friend to get in and out on their own, in case they get spooked or just want to go take a nice safe nap. 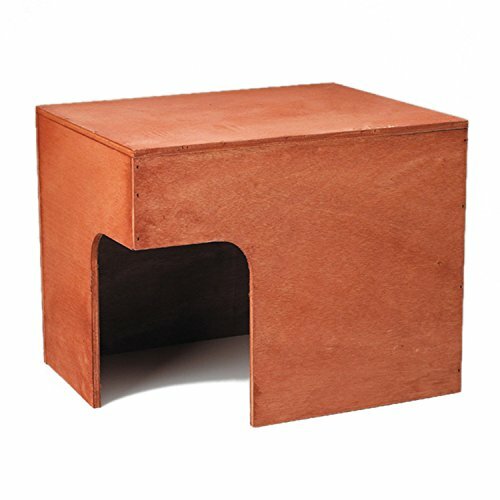 If you are wanting to make a large indoor rabbit hutch where the sky is literally the limit you should consider making it from storage cubes. 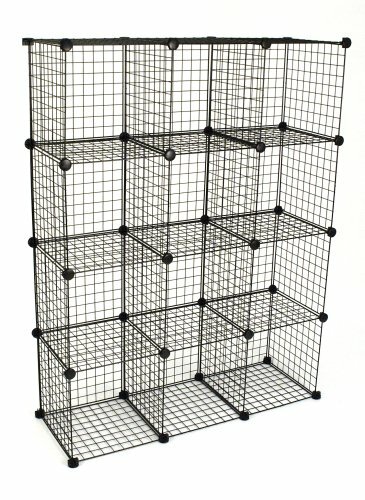 Modular wire storage cubes are inexpensive and easy to turn into an amazing cage for your pet rabbit. You’ll need at least one set of storage cubes, zip ties and a pair of wire cutters (for cutting the ties) and wood for flooring (ask at your local hardware store they will usually make the cuts for you for a small fee). We recommend getting ties that match the color of your cubes. And don’t forget you can add onto your rabbit hutch easily just by getting more cubes. 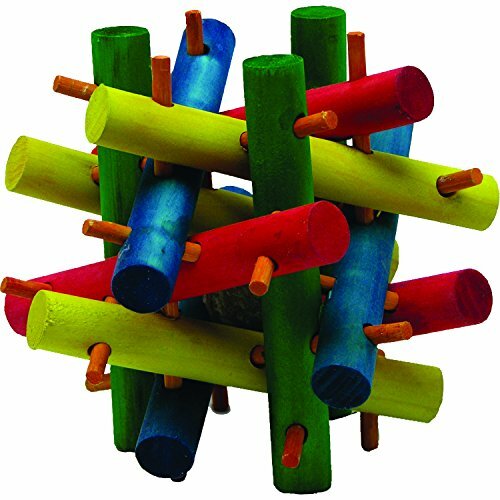 This definitely strikes us as one of the more inventive indoor rabbit cage ideas out there! It’s just so versatile in the end. 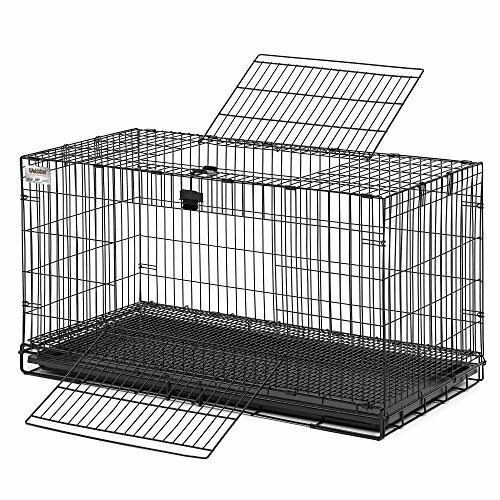 We hesitated on including the following rabbit cage options because they are NOT large enough on their own for a rabbit to live in and stay healthy no matter what the manufacture says on the box! 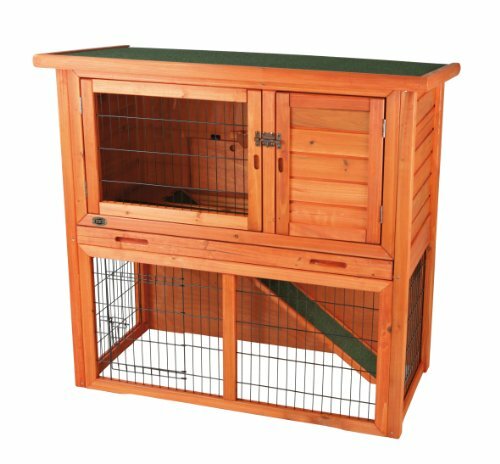 But a plastic rabbit hutch like this is fine when combined with a play pen where your rabbit can come and go at will becomes a really large indoor rabbit “hutch”. Just take a look at the one in the picture above. 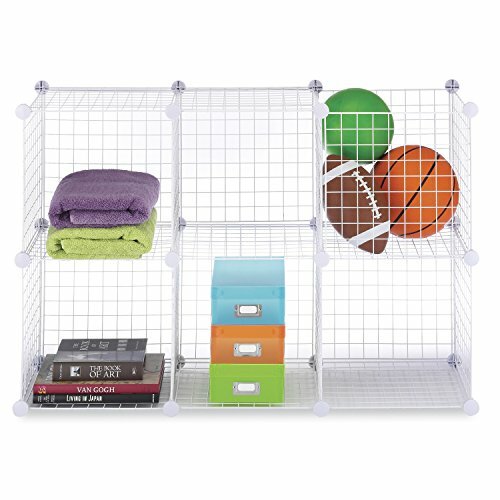 When combined with a play pen, isn’t that a nice safe place for your bunny to hang out while you are at school or work? Just keep in mind, an “extra large rabbit cage” like the ones here, you MUST have the rabbit run or play too. Without it, keeping a rabbit in a small cage like this would be cruel. 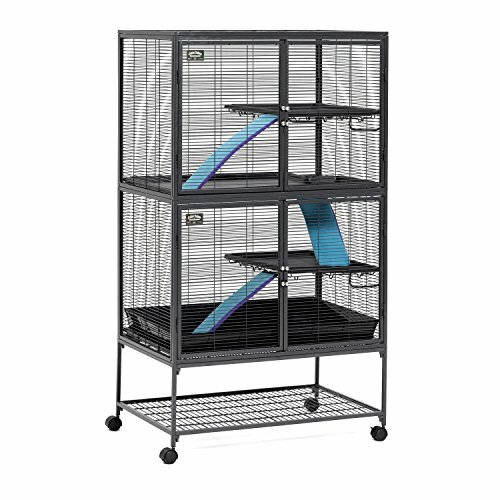 We have also seen folks use bunny cages like this as a “home” for their pet rabbit when they have full run of a bedroom or den turned into a “rabbit room” or the whole house, for that matter. 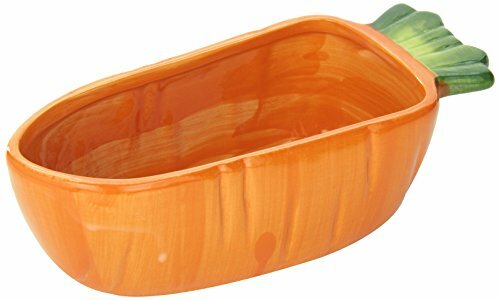 It makes for a convenient place to keep your rabbit food, water and a litter box in such a situation. 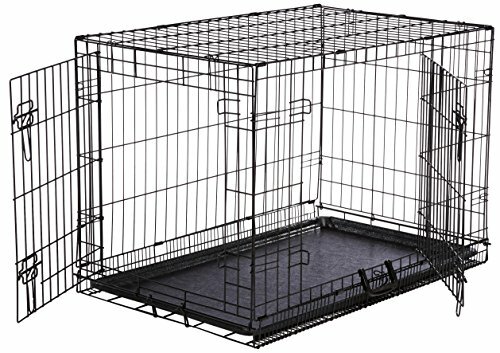 Ok… we keep finding more large indoor bunny cages and rather than make this post go on forever we will just add thumbnails of them here as we go along. I mean, you can never have too many bunny hutches to choose from, can you? Enjoy! 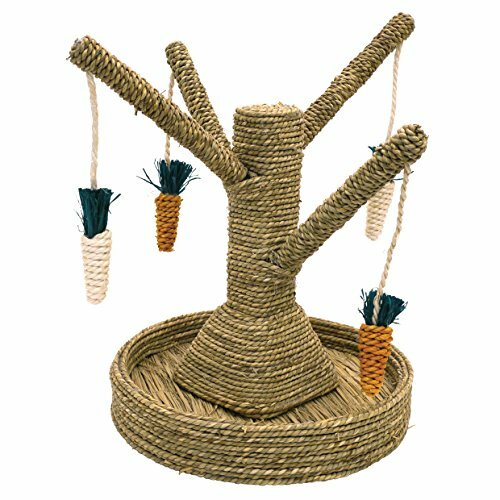 Don’t forget to do-up your rabbits house in style! 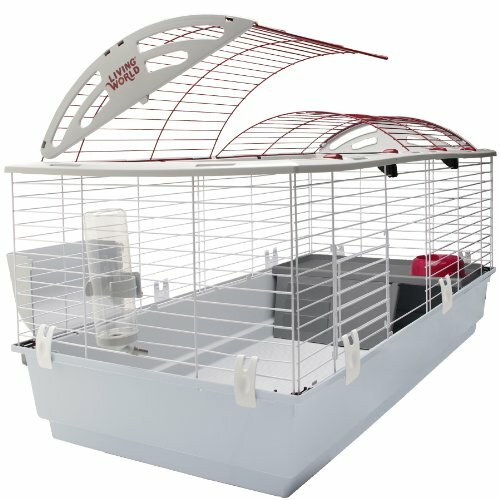 A nice roomy cage is one thing but if you don’t have the stuff to go with it it’s not a “home” and your rabbit won’t feel comfy and secure. 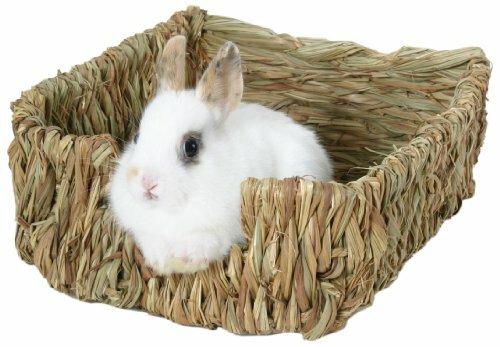 Ok, so some of these accessories are more to make your life easier than to make your rabbit feel good. But if it’s easier for you to keep his home clean won’t that make it a happier place for him? When Your Whole House Is A Large Indoor Rabbit Hutch! And last but not least I hope you enjoy this video on how cool it is to have rabbits living indoors with you. But you’ll notice that even rabbits that have the run of the house need a safe hutch or house to be in at night and when you can’t be watching them. 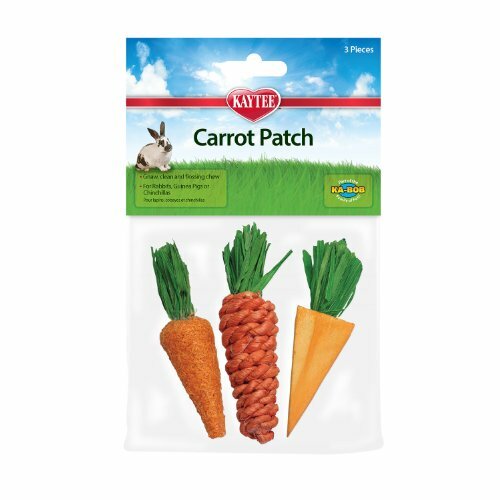 Pet rabbits are sweet adorable, fantastic, loving and yes, spiffy pets! They are delightful living creatures who feel emotions just like we do. Their lives matter to them every bit as much as your life matters to you. So please, do not think of them as “starter pets” your kids can just stuff into a cage and forget. That would be cruel indeed. 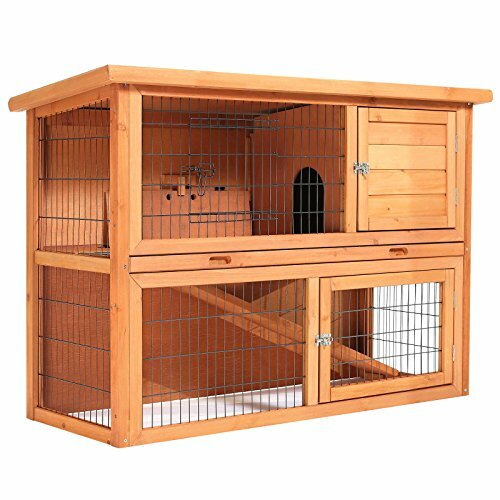 Our hope is you have been inspired by these large indoor rabbit hutch ideas and will sally forth straight away and set up the most amazingly spiffy home for your pet rabbit that anyone ever saw. When you do, drop us a line and let us share your creation with the world! 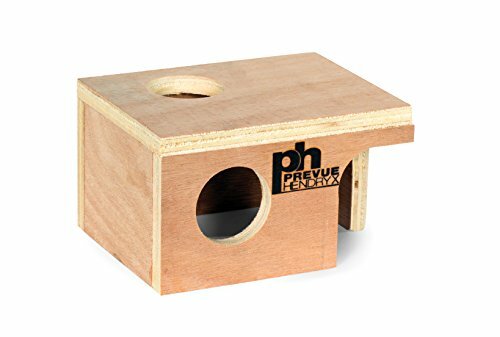 And if you’re looking for stuff to fill up your rabbit hutches and rabbit rooms, we have a page right over here dedicated to all things small pet! Go ahead and check it out, you might get some more ideas!